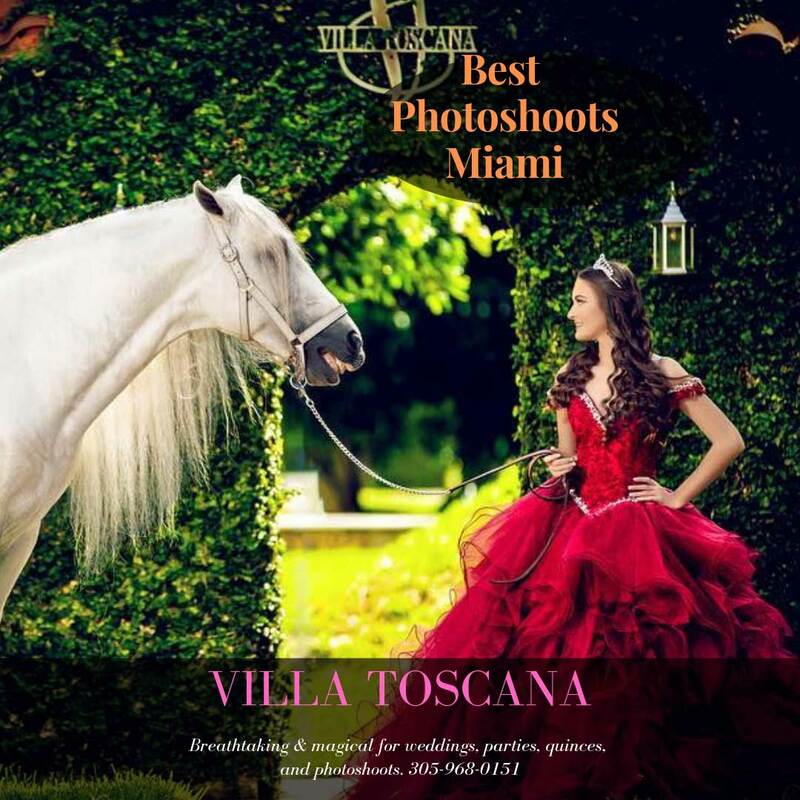 Villa Toscana Miami, a stunning and breathtaking romantic setting for the special moment of exchanging your vows. Your guests will be mesmerize with the overwhelming gorgeous mansion and beautiful tropical gardens with fountains & cascading waterfalls on four acres. We can accommodate from 2 to 500, from an intimate affair to a grand gathering. Add the love and laughter of two families joined as one, making it your perfect romantic dream wedding that will create lasting lifetime memories. Your happily-ever-after begins here. We have multiple romantic ceremony locations to choose from, but the favorites are the magical Secret Garden and Grand Center Fountain. Our team of friendly wedding specialists will assist you in making sure everything is taken care to ease your concerns and plan your perfect dream wedding. The Bridal Suite is designed for the bride and bride maid's to prepare for your big moment. Our beautiful lush tropical gardens provide countless photo opportunities for capturing outstanding memories of the single most important day of your life. For couples who are choosing elopement we can help make it the most magical day. We offer a preferred Vendor List to help choose the services needed for your dream wedding. contact me today if you have any questions, or would like to schedule a tour! A breathtaking Mansion in rural area of SW Miami with, swimming pool, fountians, waterfalls and lush tropical gardens on 4 acres. Quinceaneras, Sweet 16, Maternity, Engagement photo shoots. The top photography location in South Florida. A photography session is a three hour reservation for $250 that includes shared access to the entire property, a private air-conditioned dressing room, and sitting areas for your guests. Photo sessions can be booked between 9 AM to 9 PM. .
TV Production, music videos, commercials, television soaps and reality shows. The entire 4 acres and mansion can be booked exclusively. Fenced 4 Acres with plenty of parking available for cars and large trucks. The courtyard features Italian garden-style. Alive with lush green grass and beautiful flowers, the primary focal points are the secret garden with water falls and the central fountain with four long reflecting pools make this garden unforgettable for your photo shoot. Fountains and chapel area. Rentals for an additional cost include: Decorated Canoes, Exotic Animals, Antique Cars, horses, monkeys, snakes, Lemor, Serval, alligator, tiger, owl, horse drawn carriages, Quinceaneras dresses, and fantasy costume designs. Book with the online calendar, choose one of the 9 dressing rooms, date and time.